Last Saturday was another spectacular hot, sunny fall day at the Farmers’ Market. It seems that fall is trying to make up for the deficiencies of this year’s summer. The beautiful day brought out both shoppers and smiles. Let us collectively will this lovely weather to last even longer. This time of year sees the farmers’ tables brimming with produce, all freshly picked and local, except for the fruit which they bring in from the Niagara region. We still have an abundance of corn, alongside cabbage, cauliflower in its many colours, broccoli, beets, potatoes, field tomatoes and so much more. We also have strawberries and now fall raspberries as well as many varieties of apples, pears, some plums and grapes. This is also the time to get your Thanksgiving orders in for your turkey or meat and specialized baking choices. There’s not much time left before Thanksgiving. The next vendor I’m going to introduce is Jamie of Garden Gate Perennials. You may have noticed her booth on Wells Street full of perennial plants and delightful arrangements of cut flowers in decorated jars. Coming from a long line of farmers, Rita Keane’s love for growing and tending plants seemed natural. Her personal passion was perennial flowers and 15 years ago, her hobby grew into something more. As she ran out of room in her flower beds, she began to divide and sell extra plants to make way for new varieties and, gradually, expanding a little more each year, she grew her hobby into a business. Garden Gate Perennial Farm is the result, a family farm in Pefferlaw selling over 200 varieties of hardy, field-grown perennials. Her years of experience have allowed her to select varieties that are not only beautiful but will also thrive with a minimum of care. use pesticides or chemical fertilizers As a result, the farm flourishes with butterflies and bees. Please stop by to meet Jamie and enjoy her lovely creative arrangements and join the many Market shoppers who end up taking one home. Our next Special Event occurs this Saturday, Sept. 30 when the Farmers’ Market celebrates Culture Days with our popular Soup Fest. Again this year, 5 Market chefs will be preparing a delicious soup for tasting, prepared from ingredients found at the Market. The tasting begins with Cathy of Catharina’s Kitchen at 9:30 and finishes with Jan of Jan’s Country Pantry at11:30, with a new chef appearing every half hour, approximately. The other 3 chefs are Chad of Speakeasy Fine Foods, Gabriel of Gabriel’s Café and Pascal of La Brehandaise Catering. 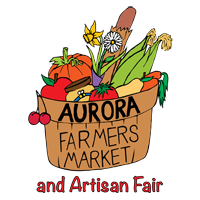 Our entertainment will be provided by Aurora’s own Steve Falk and Soul Benefit and there will be a draw for a Market bag. The following Saturday Oct.7 brings our final Special Event, Pumpkin Fest, when there will be more entertainment, this time by Aaron Morris and his Manatee Band plus some surprises. There will be oodles of pumpkins available plus many pumpkin-themed goodies. We will be sharing the Town Park with a wonderful group of families hosting a PJ’s and Pancakes fundraiser for POGO (Pediatric Oncology Group of Ontario), raising money for the 4000 children in Ontario who are battling cancer. It promises to be a busy and fun-filled day. Please mark it on your calendar.